Do you need ideas of what to do other than binge-watching Netflix in your snuggies? Is it raining outside and you need a better excuse than to stay at home? Are you AVOIDING ALCOHOL in Dry July, Fast Feb, Parch March, Ocsober, or just giving alcohol up as a new year’s resolution for a detox January? 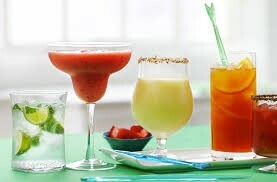 There is an increasing popularity for teetotaller venues to make more effort for those abstaining by making mocktails or at least drinks that are booze-free and are more interesting than lemon lime and bitters or sparkling water. This should not be about avoiding alcohol and hiding from any event that possibly might include its consumption. It should be about living your life to the fullest extent possible without using alcohol to enjoy it. The key is to choose things where a drink is the second sell and the good times don’t depend on it. Here are the coolest activities to do with your friends which do not require a single drop of alcohol and are just as much fun to do when sober! Sky Zone takes fun to another level! 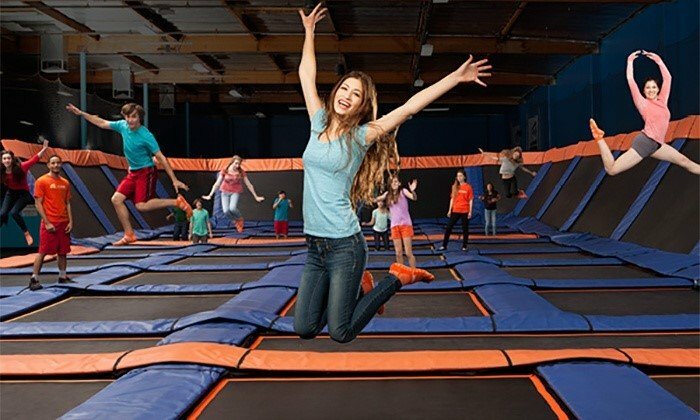 With more than a 100 interconnected trampolines you can literally bounce off the walls. You can bounce so high that you feel as if you are in flight! You can dive or somersault into a big pool of foam, play a game of tag, basketball hoops to dunk, dodgeball games to join in as well as ‘skyfit’ classes for cardio and muscular workouts. So with nothing but trampolines around it’s not hard to channel into your inner child and jump around with reckless abandon. Open to all ages! Now that you won’t be nursing a hangover on Saturday join in on their morning exercise class to start your day boosting your energy and good vibes from all the bouncing around. Sky Climb has 30 different themed climbing walls where you can clip on your safety harness, start climbing and scale the skies! You won’t need alcohol to get high! VR Corner is a Virtual Reality experience Arcade that is based in Chinatown in Central Sydney. They have the latest and greatest VR software and games delivering a realistic and immersive simulation of a three dimensional environment. The HTC Vive headsets have the technology that can generate realistic images, sounds, and other senses that replicate a real environment so the person can look around without bumping into anything! The game detects the movements of the player and using these to influence what goes on in the game. That means that you as the player are a vital part of the game. You ‘look around’ the artificial world and move in it and even interact with the items by only wearing a virtual reality headset and holding a game controller. So hide your responsibilities from the real world and explore interacting with objects in a virtual world! You mind won’t think of alcohol! Escape rooms are taking Sydney by storm! It is one of those rare experiences where it seems simple at first glance but has many challenging aspects. This is a real life puzzle means you are confined to a room after being briefed, then you are technically challenged to find clues and solve puzzles to escape. Logic and lots of brain solving the puzzles which may require several parts to come together so team work is required, if you can stop yourself giggling! So if you are looking for a challenge and wanting fun in an interactive way by leaving nothing unturned, escape rooms is a good bonding exercise and no need to drink!! For a night out with a difference Kingpin in Darling Harbour allows you to call the shots with killer choices to have fun. 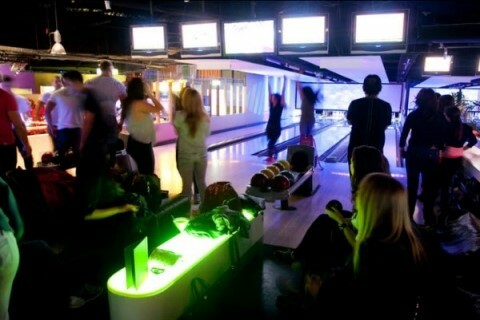 Here there not only a restaurant but also a bowling alley, gaming arcade and laser tag venue all rolled into one. In a premium location of Darling Harbour it is a superior quality event space with an electric atmosphere and spectacular harbour views. Bes-X bowling technology has you bowling for bullseyes with 20 state of the art bowling lanes. You can personalise your scoring card with selfies and get friendly with the competition with ‘Lane Chat’. Claim bragging rights with your friends, if you are in competition with them as you step into the indoor laser skirmish arena. The gaming arcade is packed with over 60 both classic and new arcade games where you can ditch the controller and enter un-reality! Pool and air hockey can be played all with top music and disco lighting. Kingpin is not only unique it is downright funky! So just when you thought a night without alcohol couldn’t get any more fun this revolutionary Entertainment quarter gives you a sophisticated new age concept that allows you to roll out your own choice of evening. How does skating at Bondi Beach sound? 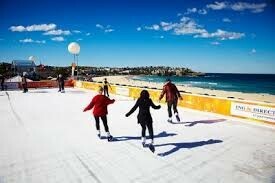 For the whole of July, you can take the chill out of winter by going to the only beachside Ice Ring in Australia. If you need to balance you can hire a ‘Penguin’ as a Skate Aid. You can skate in the sunshine or under the stars with each skating session lasting 45 minutes. For the first time this year soaring above the iconic Bondi Beach is the Bondi Eye which will give visitors a spectacular 360 degrees view from a glass capsule and is Australia’s highest Ferris wheel. It is particularly spectacular at night as the gondola has 35 different changing colours and patterns. Bondi Winter Magic is a six week festival not only sparkling with its ice ring but also a festival of art, music on the street, historic walking tours and most unusual of all, live camel rides on Bondi Beach! How does discovering Sydney’s best chocolatiers at the weekend sound? 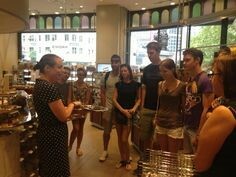 Alcohol free and entering Sydney’s food culture, Chocoholics and Sweet Toothers can discover Sydney’s best chocolatiers by going on a, yes, tasting tour! Learning about different cacao percentages which affect the taste of the chocolate you will be able to sample the chocolates at each venue you visit. You will learn about how chocolate is produced from bean to cacao tree through the hands of chocolate makers. The terminology used by industry professionals will be explained and how they describe taste, smell and forms of chocolate. Truffles, cupcakes, bon bons and more will be nibbled and you will learn how these artfully designed chocolate masterpieces are designed. This is a 2.5 hour chocolate walking tour, visiting a variety of venues in the city including ChocolArts, Mini Money, Josophan’s, Bon Bon and Ladurée. If you have an even more insatiable sweet tooth to make up for your lack of alcohol the Cupcake and Dessert Walking Tour could also be for you. Taking a break from booze need not be boring and many non-alcoholic beverages provide more interesting options than, orange juice, lemon lime and bitters or mineral water. There is no reason why these should not be as complex in flavours or as varied as the many regions and varieties of wine. So whether it is dry July or not be adventurous anyway and salute the bars that do non-alcoholic cocktails well! Try something other than the standard ‘go to the cinema and watch the latest blockbuster movie’. 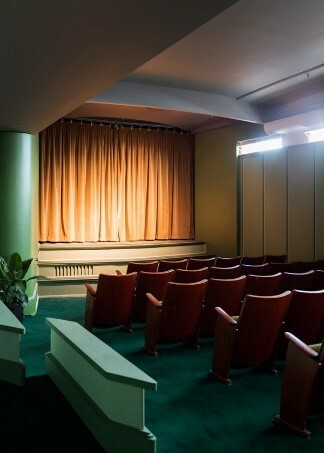 Get watching old favourites in a cosy cinema that has a flashback atmosphere. Golden Age Cinema and Bar in Surry Hills is a restored Paramount Pictures building originally built in 1940, and utilised during World War II for screening news reels and informational films for the military. The theatre has beautiful old fashioned charm and a vintage vibe which makes you respect every movie that is shown. Two vintage projectors remain on the premises, although the new cinema does use a digital projector! There is a small bar tucked away beneath the street and serves non-alcoholic beverages as well as high quality cinema snacks. Themed food with film inspired food specials to match the cinema program is offered as well as the best sundaes ever. The secret Golden Stage hosts some of Australia’s talented musicians and performers. Going to your local pub does not mean you have to drink! So if you have a lot of random facts up your sleeve use them in your arsenal to win cash, prizes and glory at any of Sydney’s pub trivia nights. You can eat dinner and besides not drinking impress your date or friends even further by arming yourself with some knowledge of movies, current events, pop culture or Australian history before you go! So if you want to get smart, show off your freaky accurate knowledge of Madagascar or even use your wonderful knowledge of the 80’s pop culture, there are Trivia nights on in a pub somewhere in Sydney each night. The middle of the working week is one of the most popular times to cut loose and try a wild trivia night. There are at least 20 pubs that offer trivia on a Wednesday, getting smart at the Darlo Bar in Darlinghurst with the ‘Texas Chainsaw Trivia’ is recommended. Knowledge is real power and good fun can be had by all! At last something free! Address your cultural side and head out to one of the cool exhibitions at White Rabbit Gallery in Chippendale. A Sydney favourite, the gallery is home to one of the largest collections of contemporary Chinese Art in the World. It holds almost 2000 works by over 500 artists. Only a fraction of the collection is shown at any one time .The entire gallery is rehung twice a year. Running until the end of July is The Dark Matters Exhibition. Black has always been a colour of the night and the Chinese artists use blacks to convey realities of the present day like oil spills, air pollution, mass production and political machinations. The dark conceals more than ever and it matters more than ever that we see these realities! Every exhibit provokes, fascinates and leads you down the rabbit hole of the best most innovative contemporary are coming out of China. There is a delightful teahouse on the gallery’s tranquil street level, waiting for you to call in to enjoy a snack and an alcohol free Chinese tea!